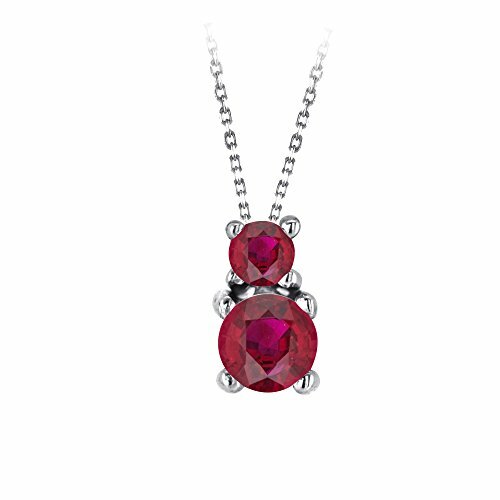 This pendant has been set with natural real Red Ruby in prong setting. Created in Solid 10K White Gold . 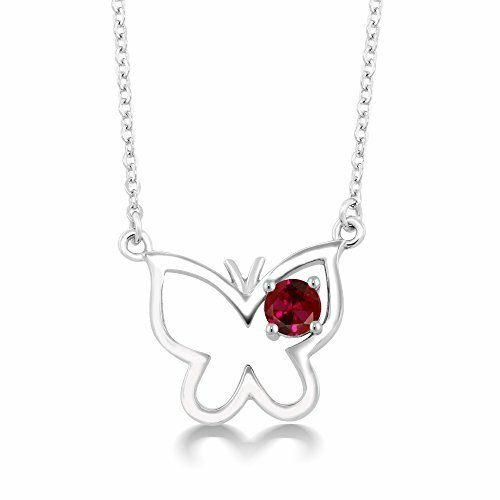 All stones are sparkling and 100% natural. 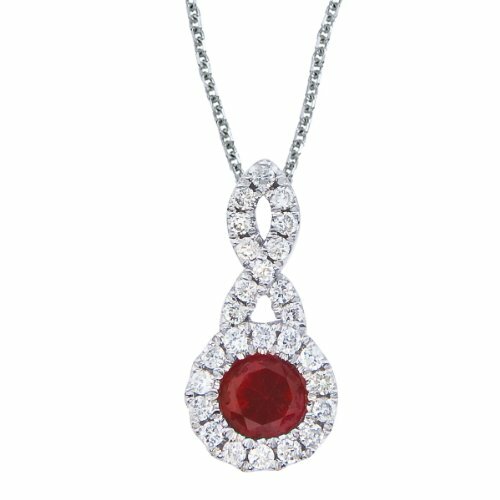 All our products with FREE gift box and 100% Satisfaction guarantee. Enjoy free shipping. 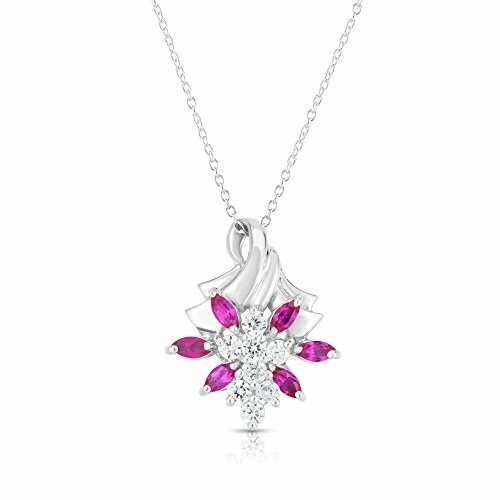 This charming pendant crafted in 14K white gold and shaped in floral design. 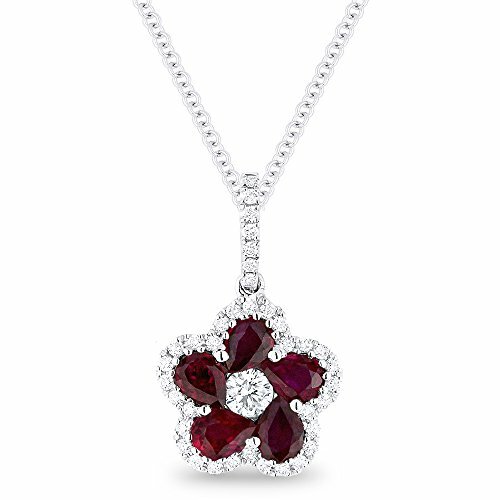 The pendant features 0.25 ct shimmering diamond cluster, decorated with 6 marquese cut Ruby stones. The pendant comes with 18" gold chain. 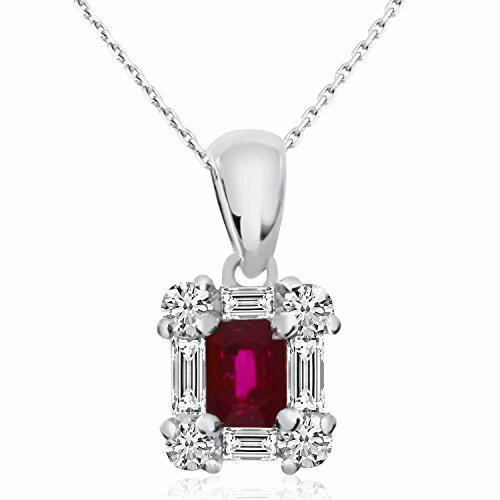 The total carat weight may range from 0.58-0.62 carats. The product comes with a 30 Day seller warranty. 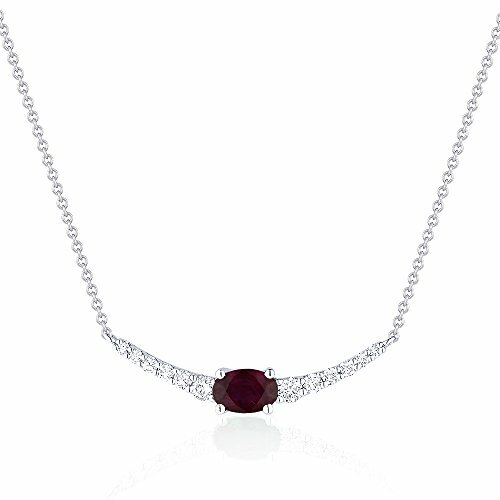 This stylish pendant features a beautiful 4mm emerald surrounded by .14 carats of shimmering diamonds set in 14k Gold. 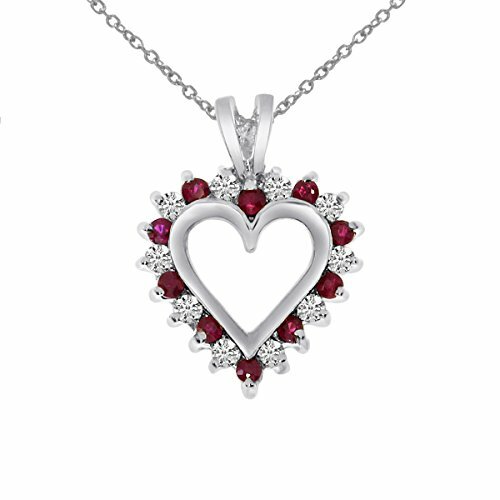 A dazzling 14k Gold heart pendant surrounded by .25 carats of shimmering diamonds and .25 carats of beautiful rubies. 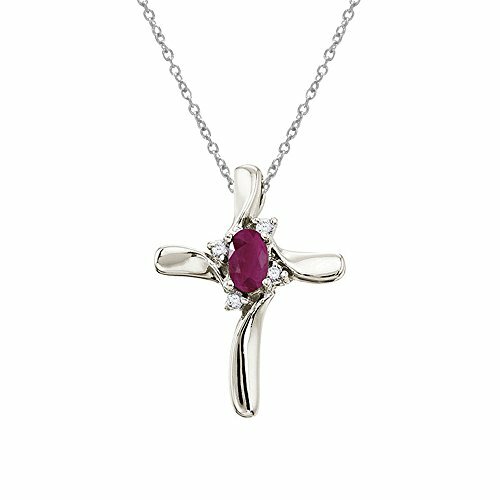 This diamond cross adds a dash of color to a traditional and elegent style with a bright 5x3 mm ruby. 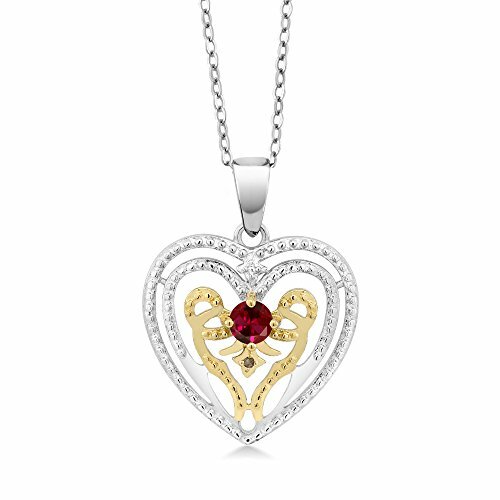 The beautiful pendant is set in 14k Gold with .04 total ct diamonds.